The pressure is mounting and employers are feeling the pinch. As U.S. health care costs continue their seemingly inexorable rise, businesses are looking for ways to wrest greater value from their health care spend. More and more, employers are looking for benefits strategies that help prevent chronic disease and, if it is present, encourage early, efficient treatment. The brass ring is getting employees to proactively manage their own health by adopting healthy behaviors, such as exercising and eating healthily. It’s better for the employees, it increases productivity, and it reduces health care expenditures. 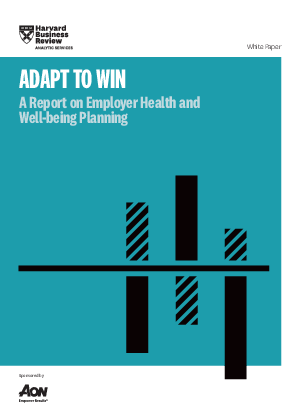 So how are organizations today looking to craft health and well-being plans that deliver real results for employers and employees alike? This white paper looks at three key areas where new and innovative approaches are changing the equation.